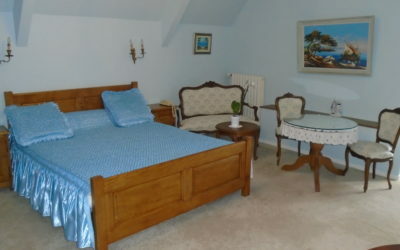 - The Dunjon: upstairs double room with en-suite shower room, with hairdryer (95 € per night). 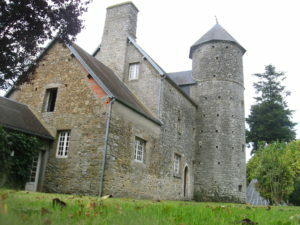 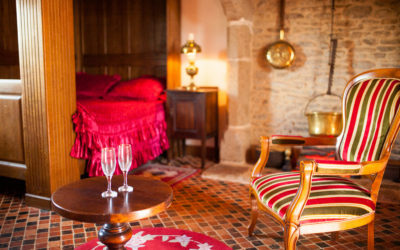 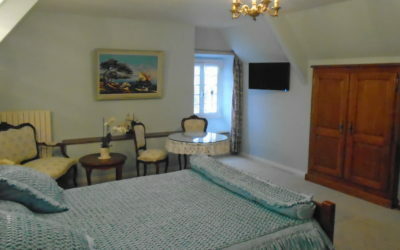 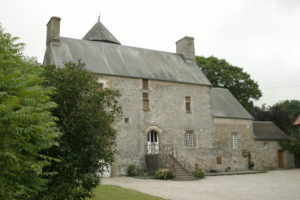 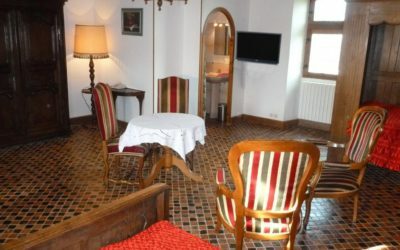 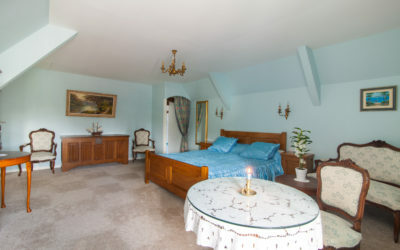 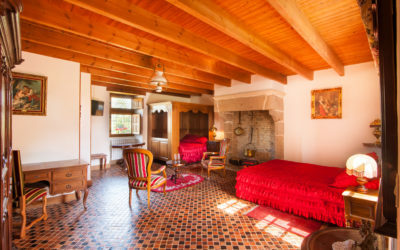 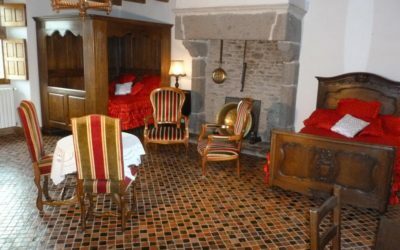 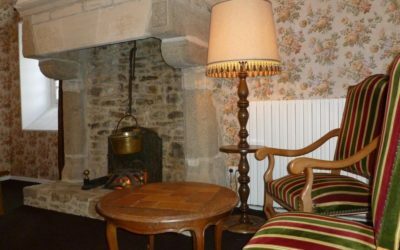 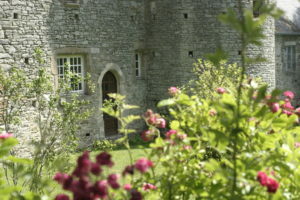 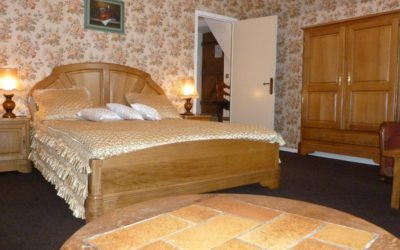 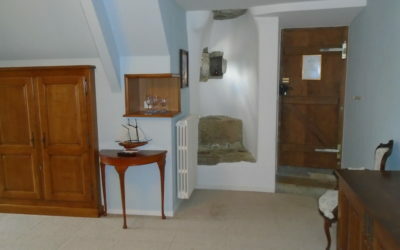 - The Turret: Located east of the Manoir, you'll have a view on the tennis court and the apple orchard (85 € per night). 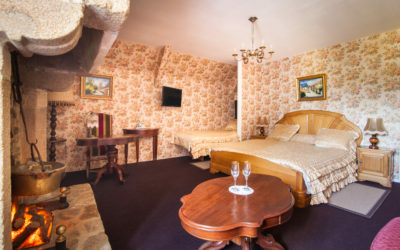 - The Duchess: Double room where you'll admire the sunset (85 € per night). 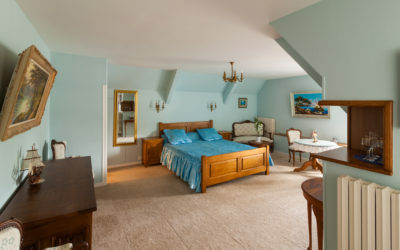 For your confort, all our bedrooms are fitted with an Internet access. 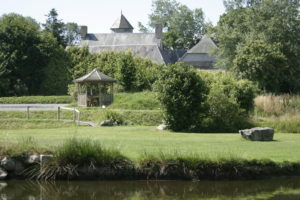 Breakfast, served in the Manoir dining-room, is included in the rate.